Why not start with the highest waterfall in Wisconsin? The Black River plunges a magnificent 165 feet down Big Manitou Falls and it is an amazing sight to behold. Such a sight, in fact, that Pattison State Park was created around the falls in 1920. Legend has it that Native Americans in the area heard the voice of the Great Spirit in the waters of the falls and named it "Gitchi Manitou" (Gitchi for "Great" and Manitou for "Spirit") in its honor. Bonus Falls: A second waterfall, Little Manitou Falls, is located in Pattison as well. While smaller in size -- about 30 feet in height -- hikers can get very close to these falls, making them a fun place to visit. Travel just down the road from Pattison to another Wisconsin State Park and you'll find a series of waterfalls on the Amnicon River. Divided into an upper and lower falls, these breathtaking features can be viewed from the park's signature covered bridge, which crosses over the river. 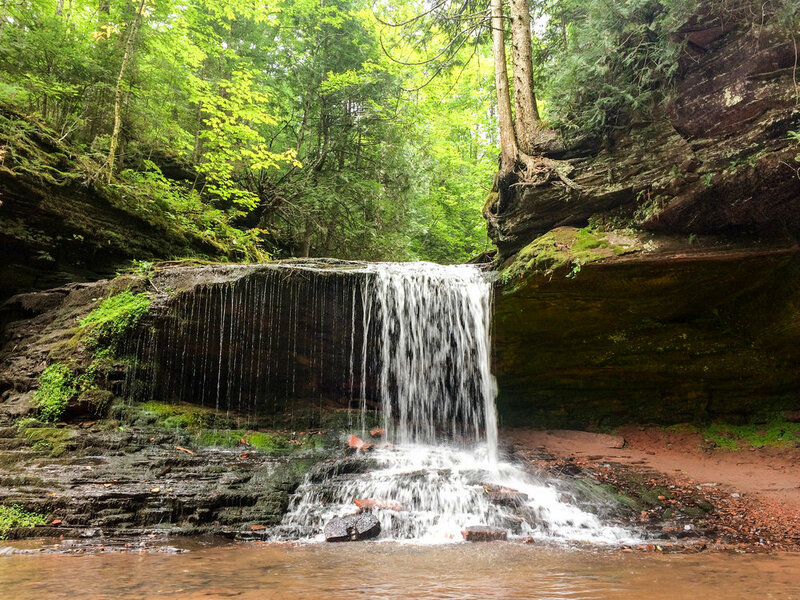 In Cornucopia (or "Corny" to the locals), you'll find a 3 mile out-and-back hike to Lost Creek Falls through Wisconsin's northwoods. Toward the terminus, gradual switchbacks lead you down to a gorge where you'll find one of Wisconsin's most picturesque waterfalls. Hikers can even walk behind the falls, giving them a really unique view of the gorge and, on a hot summer day, a nice place to cool down. Just about a mile before the Siskiwit River enters into Lake Superior, these understated falls can be easily found off the side of a bridge on the aptly named Siskiwit Falls Road. Someone with a lesser sense of adventure might stop over the bridge and take a peek at the falls below, not realizing that just a bit upstream is where the real view lies. While the land around the falls is privately owned, signs posted in the water remind you that the river itself is for public use. So take off your shoes and wade upstream! The Montreal River forms the border between Wisconsin and Michigan's Upper Peninsula, and right before this river enters the Gitchi Gumi, it plunges 90 feet over the rugged Superior Falls. These falls are best seen from the Michigan side, which requires crossing the border for less than a mile and taking a short but very downward hike to the falls. The amazing view of Lake Superior along the way makes the trip even more worthwhile. Just upstream from Superior Falls, another impressive falls rages on. A dam and power plant can be found at this location, but they are friendly to hikers passing through to see the falls. There is access to overlooks of the upper and lower falls via a short hike over an industrial but picturesque metal grate walkway and through some peaceful woods. Roll through the farmlands of northern Wisconsin and just off an unassuming county highway, down a gravel road, there sits a rustic county park. In its parking lot, find the trailhead and take a short hike through the woods, descending down many stairs into the gorge. Then wait for your jaw to drop at the views of the majestic Potato River Falls. Additional trails lead down to the river, giving any hiker unfettered access to the falls, but beware of high water because these falls pack a punch. Copper Falls State Park is another gem in Wisconsin's northwoods. The Bad River flows through this breathtaking red granite canyon and drops 30 feet over Copper Falls. 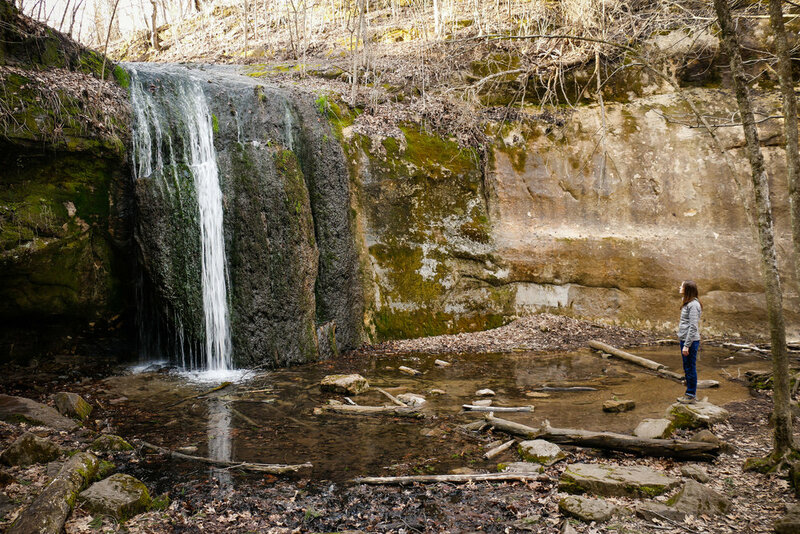 Hike the 1.7 mile loop, Doughboys Trail, to view the falls. Bonus Falls: Also along Doughboys Trail, just downstream from Copper Falls, don't miss the equally breathtaking Brownstone Falls, which plunges 30 feet where the Tyler Forks River joins with the Bad River, as well as the sprawling beauty of the Tyler Forks Cascades. 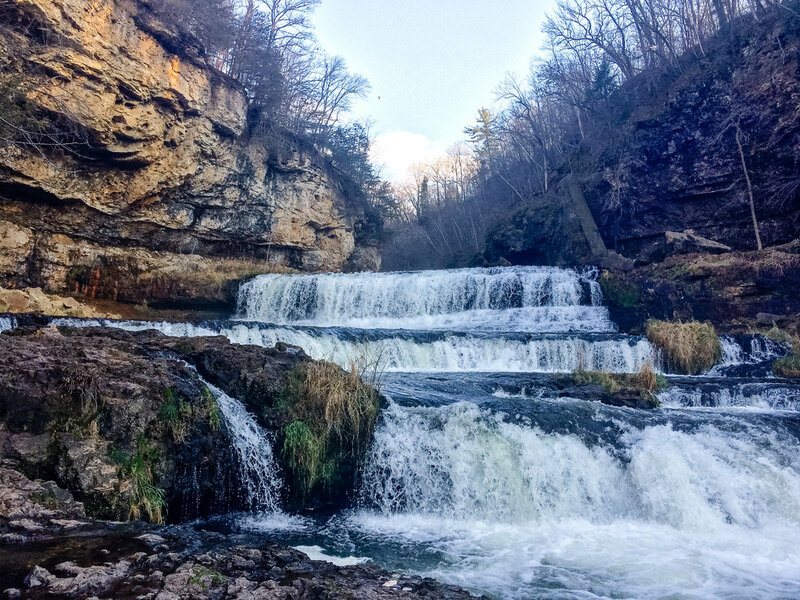 Arguably one of the most impressive waterfalls in Wisconsin, Willow Falls is easily the heart of Willow River State Park. These wide, cascading falls have several drops, all of which can be viewed from a bridge directly in front, allowing hikers to get up close and personal with the falls. This spot is also a favorite for nature photographers far and wide. Several trails of varying distances and difficulties lead hikers to the falls, but crossing over the bridge and hiking up the seemingly endless set of stairs is a great way to get your heart pumping. It also gives you an eagle eye view of Willow River and much of this gorgeous park. When hiking in southern Wisconsin in the heat of summer, a quick and cool must-do waterfall hike can be found in Governor Dodge State Park. A 0.5 mile out-and-back leads hikers to Stephens Falls, a modest but beautiful 20 foot cascading waterfall surrounded by moss and ferns. In winter, the trickle of the falls freezes into a wall of ice, drawing ice climbers from near and far.